Founded in 1925, The Hillsboro Club is a private residence club for members and their guests in South Florida. 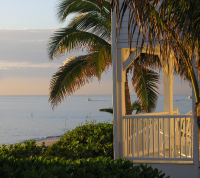 Encompassed by the Atlantic Ocean and the inland waterway of Lighthouse Point, the Club is set on 15 acres of beautiful tropical landscaping with more than 1,000 feet of private sandy beach. The Club offers 144 Florida-style rooms and suites with balconies and varying views from oceanfront to garden and inland waterway. The Spa at the Hillsboro Club offers an array of beauty and massage treatments available by appointment. © 2018 Hillsboro Club Inc.